Middle Eastern cuisine is known for its massive selection of appetizers, referred to as "Mazze". The different types of Mazze prepared by people from this region add to more than a hundred dishes. Some dishes are cold, others are hot, but all are a feast to the eye as they build up to form this colorful mosaic on the table. 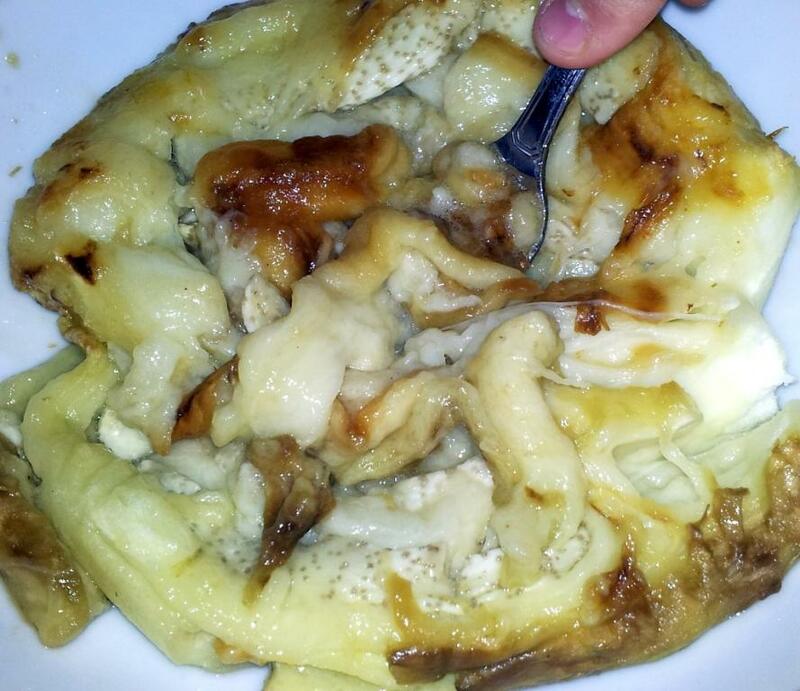 Mazze's are customarily eaten dipped with warm pita bread. Usually, the main dish is preceded by a table full of Mazzes that people enjoy as they are having a drink and chatting together. This setting of happy chattering and sipping of drinks while nibbling on the mazzes can go for an hour or so before the main dish is served. 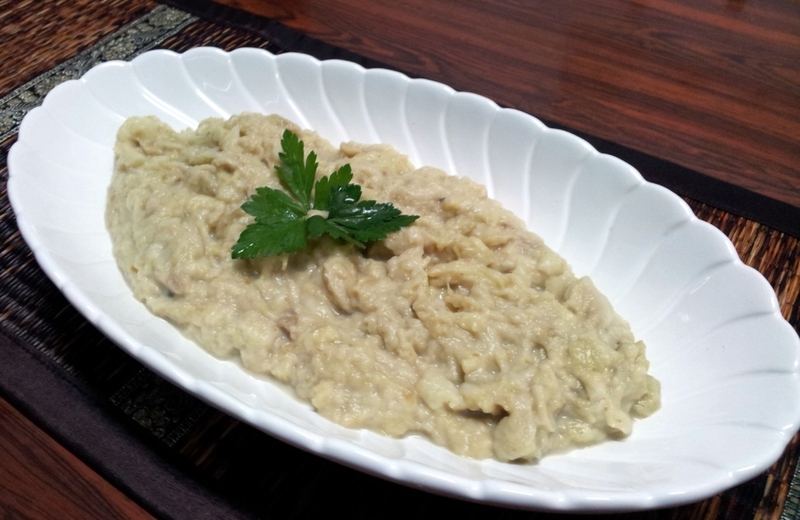 Mutabbal - even if eggplant isn't among your favorites, it will be once you try this! Mutabbal is one of my favorite Mazzes! Some countries in the Middle East refer to this dish as Baba-Ghanouj or Baba Ghanoush. In Jordan, Baba Ghanoush is a different type of dish; it is also prepared with roasted eggplants but it is without sesame paste and includes tomatoes. Both are delicious! 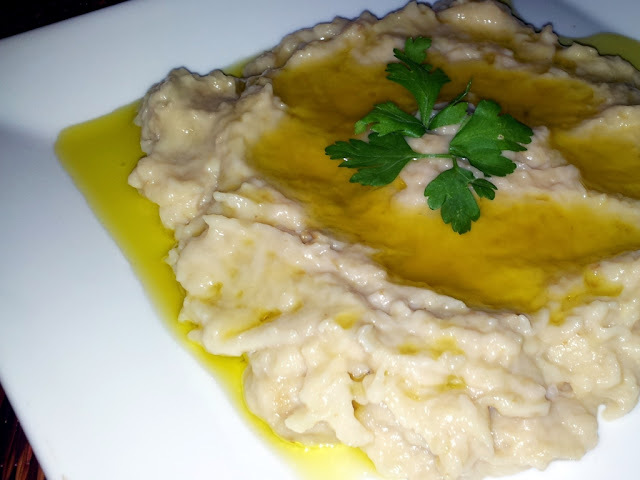 Check how to prepare Baba Ghanoush by following this link. Going back to Mutabbal, a major ingredient is Tahini (sesame paste). You can buy Tahini in Middle Eastern specialty stores and in some countries Tahini is even available in some of the larger supermarkets. Note: Shake the tahini jar well before use. But even when shaking well the consistency of the paste is denser at the bottom of the jar. so if your jar is more than half full use about 3½ even 4 tablespoons tahini. If your jar is almost empty use about 2½ to 3 tablespoons tahini. Ofcourse for a stronger tahini taste you can always add an additional tablespoon. First you need to roast the eggplants. There are many ways to do that. Some roast the eggplants directly over the fire on the stove top, others poke holes in the eggplant with a toothpick then wrap the eggplant in aluminum foil and bake it in the oven for around 60 minutes. Some people cut the eggplant in half, place it on a baking sheet and bake it in the oven for 60 minutes. If you have a nearby bread bakery or pizzeria that have a large gas or wood oven you may like to ask them if they will roast the eggplants for you; this is what I do most of the time! I place my eggplants in a baking pan, take the pan to the bakery and they bake it for me. No mess, no smell in the house, quick and easy!! Just remember to bring a piece of aluminum foil with you to cover the pan when it gets out of the oven. Roasted and peeled eggplants freeze well, so if you are using this method I suggest you bake more than you need and freeze in an airtight container. Once eggplants are warm, peel the skin off. I find that peeling the skin under running cold water is easier. Place the eggplants in a sieve to drain. Mash the eggplants with a fork. Add the minced garlic and Tahini paste and mix well. Mix in the lemon juice, water and salt. When serving, pour olive oil on top. Mutabal is best eaten with warm pita bread for dipping, but just as good when used as sandwich spread. Don't forget to pour olive oil over your mutabale. Hope you enjoyed today's easy recipe: Mutabal. Bon appetite.